Congratulations to junior Camryn Hurley who was accepted into the Sydney Honors Chorus. She will perform at the Sydney Opera House this summer. 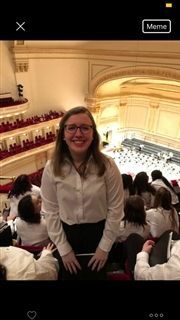 Earlier this month, Camryn performed with the Women's Honors Chorus at Carnegie Hall.